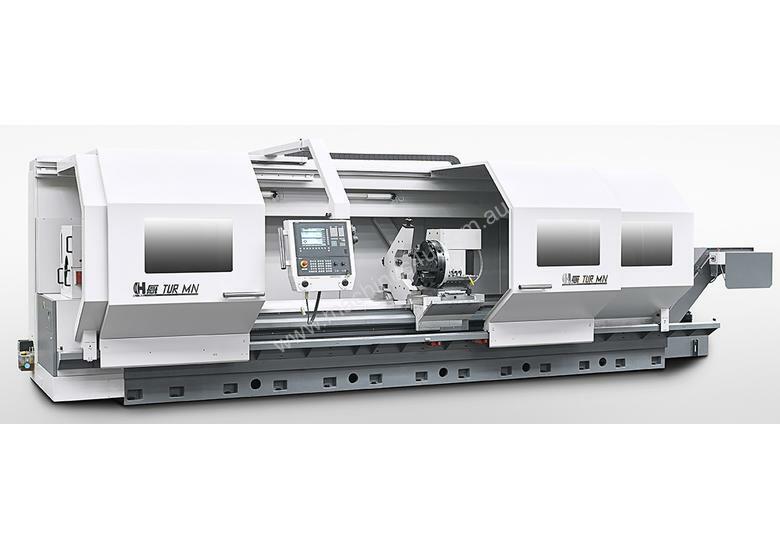 C/w Siemens 840DSL with ShopTurn User Friendly Conversational Programming System, Sauter 8 Position VDI-50 Auto Turret or Quick Change Tool Post, Steady Rest, Tailstock. 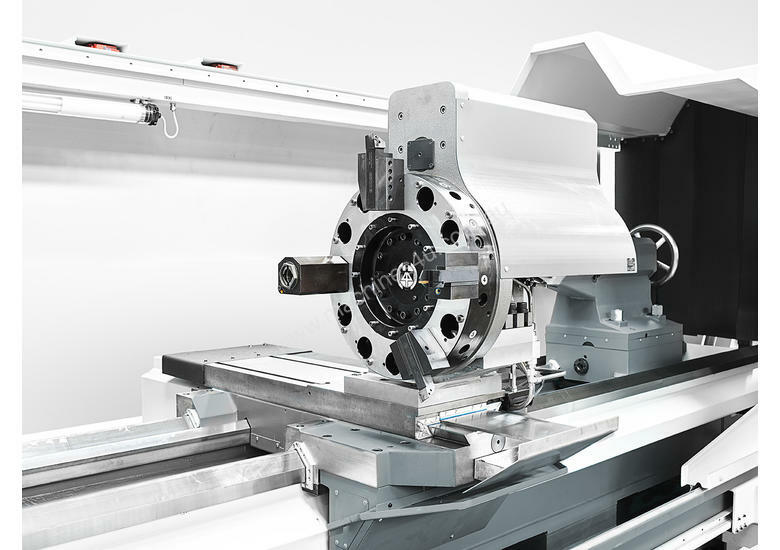 TUR SMN is a manual/CNC combination high-precision lathe. 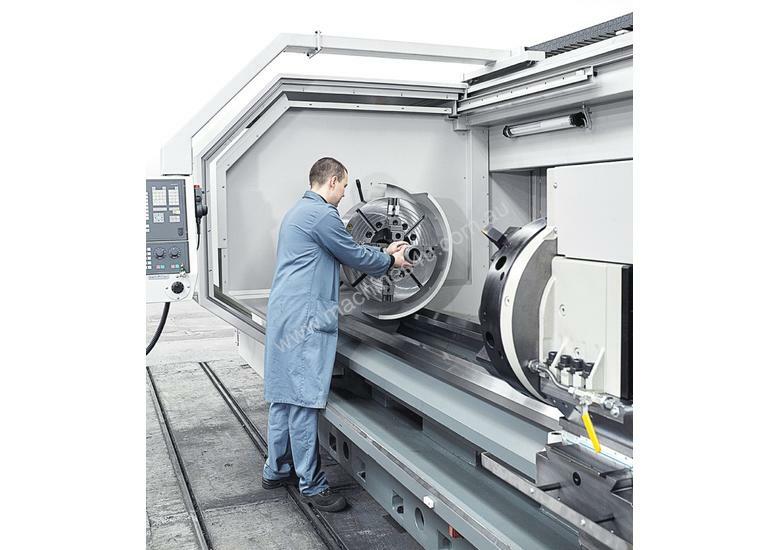 Equipped with the very latest Siemens SINUMERIK 840 D SL control system and AC drives it became a production unit for manufacturing the high-precision, complicated parts made as one-offs, small batches and serial production. 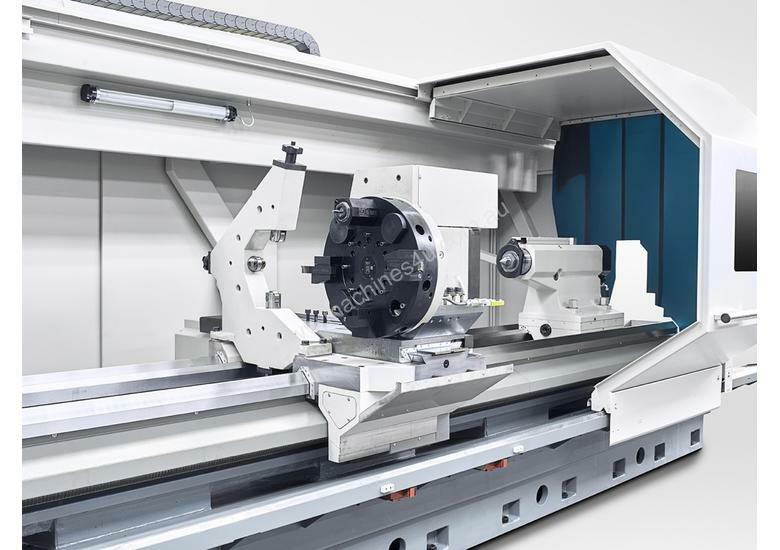 When the machine is equipped with such options as hydraulically operated power chuck and tailstock, chip conveyor, live tooling and electric automatic 8-station turret, it offers efficiency of a modern flat bed CNC lathe. The great advantage to the user of this lathe is the possibility of employing the highly developed techniques without any special knowledge of programming. Reduced machining times, the highest and uniform precision of all parts in the batch as well as taking away from the operator his routine work demonstrate the new level of production efficiency. 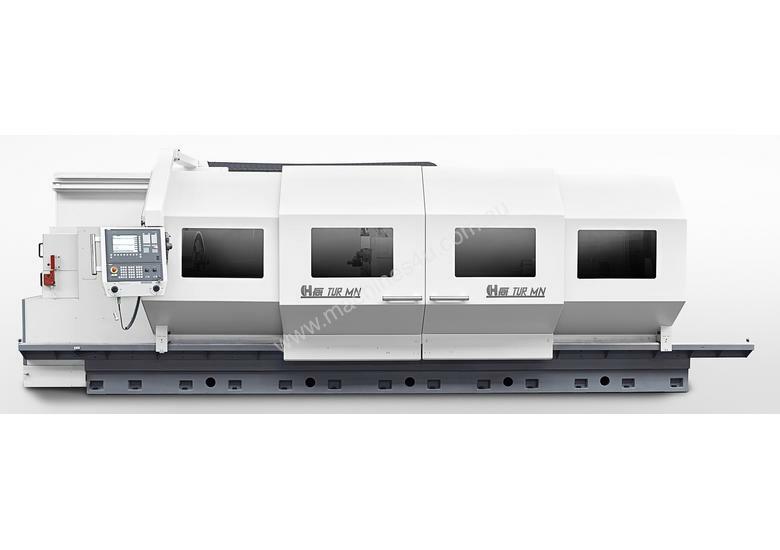 FAT are a European manufacturer of high quality flat bed CNC Lathes ranging from Ø550mm ~ 3,000mm swing over the bed. 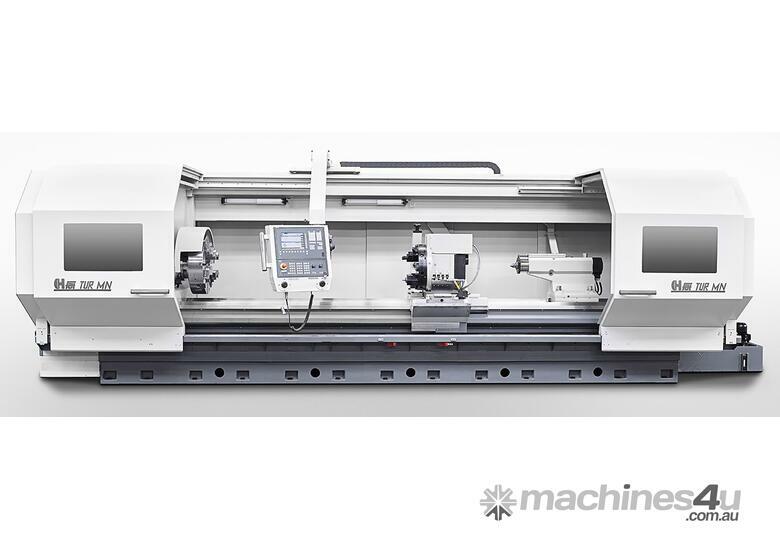 A long established history, close affiliation with the German market and more than 55,000 lathes produced to date are what make these lathes one of the best available lathes on the market today!